As Rome burns, our state Legislature continues to fiddle away. Faced with a burgeoning budget hole and no solution in sight, the legislative leadership last week proposed a way to deepen — yes, deepen — our state debt. It involves funneling even more state tax dollars to private schools and helping line the pockets of the middlemen who profit handily by skimming 10 percent of tax-credit dollars as they are diverted to private schools. A House committee appointed by House Speaker Kirk Adams, R-Mesa, allegedly to investigate abuses of the private school tax-credit system, instead last week released recommendations to expand rather than reform the program, which two separate newspaper investigations have found to be rife with abuse. The newspapers found that the program, which was established to help pay poor kids' tuition at private and parochial schools, primarily benefits the wealthy, who receive a taxpayer-funded subsidy to pay for their children's elite and costly education. This comes at the expense of all other Arizonans, who are suffering job losses, closed state parks and woefully underfunded public and charter schools because of the state's budget crisis. The private-school tax credit program has diverted $380 million from the general fund since its inception in 1997. This year alone — at a time when the state is talking about talking about issuing IOUs because it can't pay its bills — $55 million of your tax dollars will walk out the door with no benefit to average Arizonans. 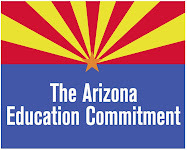 Your state tax dollars will also continue enriching Rep. Steve Yarbrough, R-Mesa, the primary sponsor of legislation expanding private-school tax credits and the beneficiary of those tax dollars as head of the largest School Tuition Organization. Legislators have already refused to declare that Yarbrough has a blatant conflict of interest that should be illegal; instead of cracking down on his industry, the House panel voted to help him expand it. Incredibly, rather than voting to restrict this program to only the financially needy, the House panel voted to recommend increasing the amount that taxpayers can direct to private schools from $500 to $750 for an individual and $1,000 to $1,500 for a couple. How can any responsible legislator faced with a budget deficit of more than $3 billion recommend increasing a tax credit that is not limited by financial need? In the recent special session, the Legislature cut an additional $144 million to public schools mid-year. This is on top of the $133 million in cuts in January 2009. More cuts are on the way. Keep in mind that Arizona is already 50th in the nation in per-pupil spending on K-12 education. Every Arizonan should contact their state legislator and demand they follow the fiscally responsible path. Insist that any scholarship offered through tax credits is means tested. Tell them to introduce legislation to reduce the 10 percent taken off the top to a more reasonable 3 to 5 percent. Finally, tell them they will be held accountable if they expand special interest tax breaks when Arizona has a $3 billion deficit. Arizonans must take action to force our legislators to be fiscally responsible.